If you are in fun mood today, spruce up a dip dyed synthetic wig will gain you bonus points. No matter what the color you choose or just with a colorful synthetic wig, it can be really awesome. Side sweeps your bangs and let them stay out. The best thing about synthetic wigs is the fact they require minimal care. Synthetic wigs allow you to wear your hair neatly everyday without having to put much effort. This makes them great fashion accessory that actually serve you practically. However, to make the most of your investment it is necessary to use your wigs gently and sensibly. 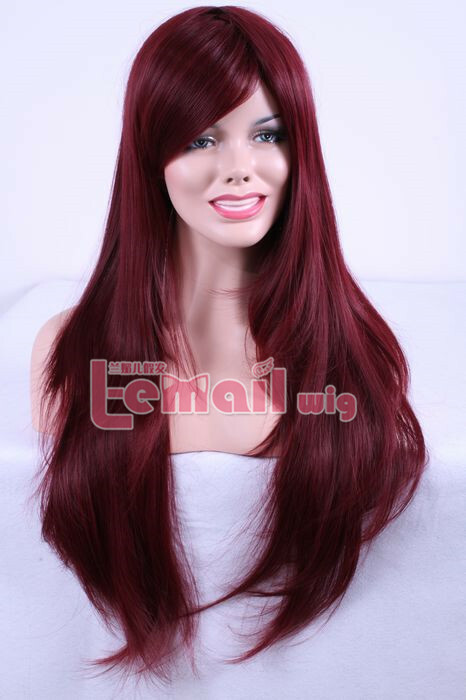 A good synthetic wig should last you a year provided you wash it carefully per 18-20 wears. Synthetic wigs keep the style memory yet there are certain bad habits that may turn your wigs look retard or worse. This entry was posted in Fashion Wigs, Wigs and tagged cheap blonde wigs, cheap fashion wigs, long wave wigs, synthetic fashion wigs. ← Long Wave Wig You’ll Love!